It's been a while since I've dug into the latest classic Blu-ray and DVD releases, and there have been quite a few goodies to catch up, so let's dig right in. Bill Morrison turns history into the stuff of dreams. Or maybe, in this case, nightmares. 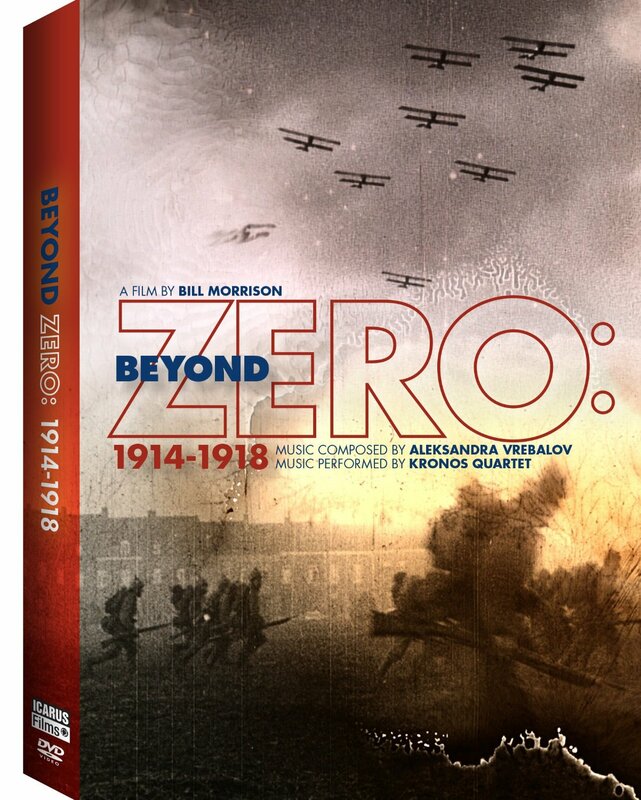 Using original, decaying nitrate footage from WWI, Morrison stitches together a portrait of human folly with an eerie score by Aleksandra Vrebalov, performed by the Kronos Quartet. The footage may be distorted, but it's imperfections give it a haunting, dream-like quality, as if we are watching the very decay of the human race. 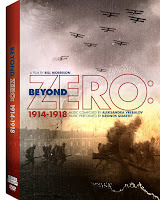 Beyond Zero presents never before seen images from World War I, and while the very idea of watching images from the front lines is enough to raise the hair on the back of your neck, as if we are watching history unfold before our very eyes, Morrison lends it a kind of terrifying beauty. It's a mesmerizing, chilling portrait of a nearly forgotten war, through images degenerated almost beyond repair, that despite their degradation are just as immediate and just as powerful as ever. 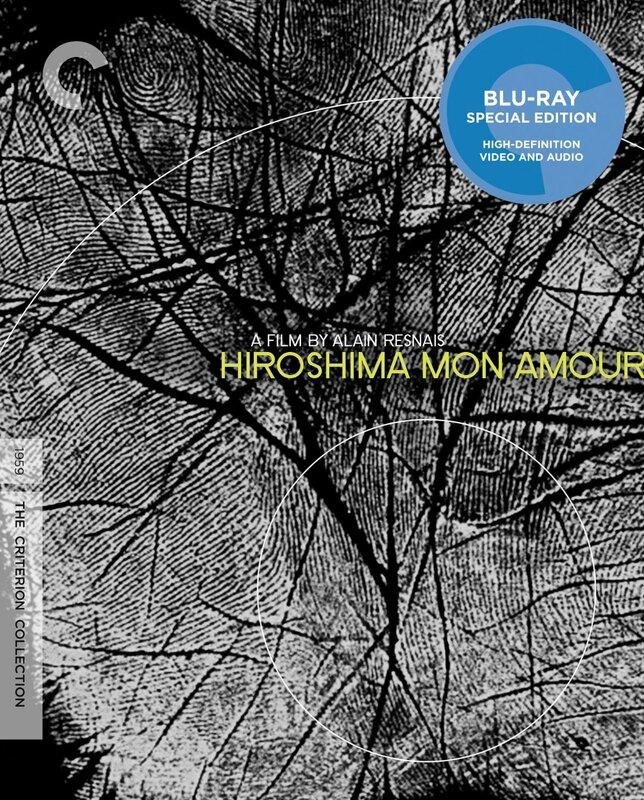 There is a special and unique beauty about Alain Resnais' Hiroshima, Mon Amour, a landmark of the French New Wave and the film that put the legendary director on the map. Set in post-war Japan, the film is a love story between a French woman and a Japanese man with very different perspectives on the war. Resnais splinters the narrative with an almost Rashomon, disregard for time and truth, capturing the essence of a foreign love affair with a delicacy that recalls David Lean's Brief Encounter. But unlike that film, Resnais experiments with the form (some refer to the film as the first modern sound film), incorporating the theories of Sergei Eisenstein into something that feels thrillingly contemporary even today. 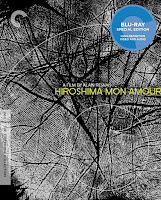 Resnais uses the setting of Hiroshima, now a commercialized tourist destination a mere 14 years after it was destroyed by a nuclear bomb, as a hub for the disorienting collision of tradition and modernity, love and war, peace and chaos, to deliver a jarring yet strangely familiar narrative of deep, passionate longing. Lisandro Alonso's enigmatic Jauja plays like an Argentinian art house re-imaging of John Ford's The Searchers, starring Viggo Mortensen as a Danish military man traveling in a foreign desert with his daughter, searching for the mythical paradise of Jauja, a land many have tried to find, but all have been lost. When his daughter runs away with a young soldier, he sets off to find her, only to become lost himself in a world that seems to exist completely outside of time and civilization. A haunting existential work, often obfuscating, always fascinating, Jauja is a dazzling experiment that never fully reveals itself, always hiding its meanings and ideas behind long takes and metaphors, but the result is undeniably mesmerizing, and Mortensen is tremendous in the lead role. The new Cinema Guild Blu-Ray also includes to equally fascinating short films by Alonso (who also directed the unmissable Liverpool), as well as a top notch essay by Quintin. "This experimental work aims at creating a truly international absolute language of cinema based on its complete separation from the language of theatre and literature." 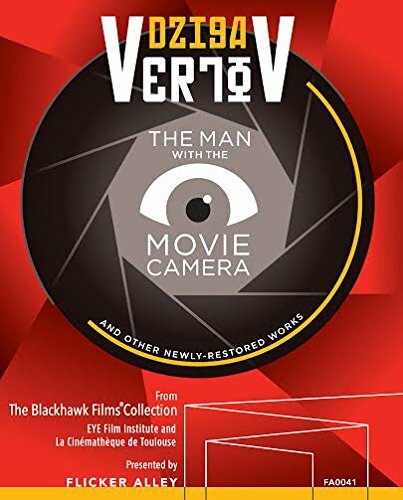 So begins Dziga Vertov's pioneering work of documentary cinema, Man with a Movie Camera, which chronicles Vertov's journey across the Soviet Union armed with his trusty movie camera. A wildly kinetic, experimental work that captures the pulsing rhythms of the city and championing the ideas of the Soviet Montage movement pioneered by Sergei Eisenstein, Man with a Movie Camera remains one of the most astonishing works of art in cinematic history. It's a shame that the score it is most often presented with, composed and performed by the Alloy Orchestra (based on notes by Vertov), often feels too modern and grating, which distracts from Vertov's stunning imagery. Still, it's hard to deny Vertov's genius, and even with the grating score it still shines through, capturing the humming city and progress of technology in often glorious fashion. Flicker Alley's typically excellent Blu-Ray presentation actually improves on their stellar Landmarks of Early Soviet Film box set, as it also presents gloriously restored prints of other Vertov films such as Kino-Eye, Enthusiasm: Symphony of the Donbass, and Three Songs About Lenin. Essential stuff. 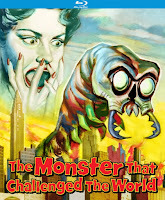 I'm a sucker for old B-movies like this, and while The Monster that Challenged the World is very much of the "1950s nuclear scare" vein of sci-fi monster films that were so prevalent during the decade (ie Godzilla, Them!, and Attack of the Fifty-Foot Woman), it's also better than many of its brethren. It's a pretty standard premise - nuclear testing awakens prehistoric snails (!) from and underground cave who proceed to wreak havoc near a military base at the Salton Sea. So while the monstrous mollusks don't exactly "challenge the world," they leave a nice little slimy trail of destruction in their wake. Director Arnold Laven manages to create quite a bit of tension, largely due to the fact that we rarely see the creatures (which actually look pretty good for the time, but are still pretty goofy). 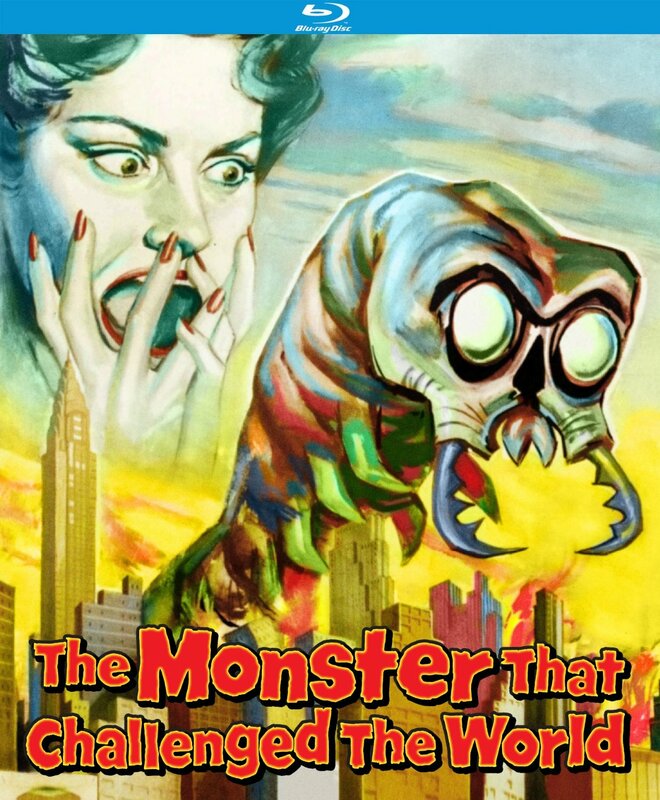 It's not Godzilla level, but it's still an entertaining slice of 50s sci-fi cheese that understood the maxim that less is definitely more. 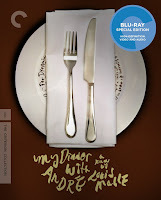 Louis Malle's classic (infamous?) chronicle of a dinner between two colleagues is almost anti-cinematic. Two playwrights sitting at a table discussing theatre, philosophy, religion, and politics for two hours doesn't necessarily sound like riveting cinema. And while it is visually rather flat (a fact that even the new Criterion Blu-Ray can't really help), Malle nevertheless turns a dinner conversation into riveting cinema. 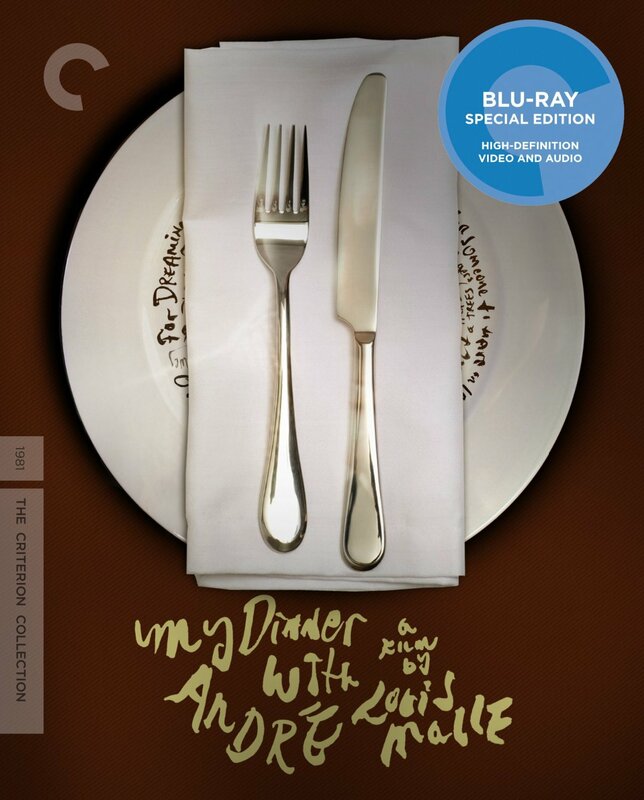 Wallace Shawn and Andre Gregory keep the conversation lively and engaging, and somewhere amid the seemingly humdrum motions of sharing a meal, Malle discovers something deeply profound in the stripped down simplicity, as two men search for authenticity in a world filled with dishonesty. 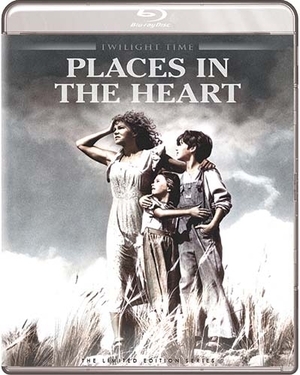 It's pretty remarkable that Robert Benson's semi-autobiographical film about growing up poor in the rural south turned out to be so spare and unsentimental. It's an unblinking yet tender look at race relations during the Depression that packs a pretty powerful punch, mostly due to the strong central performance by Sally Field (for which she won her second Oscar - "you like me! You really like me! "), and Benson's subtle directorial restraint. Leaves lots of ends untied, but then, that is life. The film refuses to tack on unearned resolution, instead leaving us with the sense that the struggle will continue. It's a beautiful, deliberately paced work that still resonates today. Limited edition of 3,000 units.